There are many early concept apps available to the point where we are spoilt for choice due to the sheer number of similar apps. Still, it can be possible to search for an app for a particular skill and not find it. What do you do? If you are Kristin Heitmann of Apppmedia (Apples, Peaches, Pears and Plums), you make your own. Kristin wanted an app for her children that resembled Kim’s games. Named after the character in Rudyard Kipling’s classic novel, Kim, the game involves studying items on a table or tray, then covering them and identifying what is on the tray. In a different version, an item is taken away and you need to find what is missing. The games promote observation and memory skills. This is the type of activity Kirstin couldn’t find, so she designed Professor Kim – What’s Missing Here?. Children are presented with a number of items and then must find the item that is NOT on the screen from the picture menu in front of them. There are several levels of difficulty. Each level puts an extra picture on the screen and in the list. On level 1, children look at three items on the screen and select from a list of four items. By the time you get to level five, children are looking at seven items on the screen and selecting from a list of 8. The 6th level doesn’t add an item, but uses silhouettes on the screen. Correct answers result in a green light and a fish token. If you answer incorrectly, the red light flashes and you get the fish bones instead. There is also a time bar for each puzzle. If you have not identified the missing item before the bar runs out, it gives you a new screen to look at. Levels are unlocked as you progress through the app. Player Mode – Single and Two-player modes are available. In two-player mode, the list of items appears at both ends of the screen, and points are awarded to the player who is first to select the correct answer. Graphics – the graphics are colourful and appealing, with an under-the-sea theme. Sounds – the fun sound effects and background music can be turned off using options on the main screen. Special needs – there is no spoken language in the app. Although some of the sounds might reinforce incorrect or correct answers, they are not necessary to complete the activity. Students with a hearing impairment should find this activity easy to use with easily understood visual cues, such as the flashing red and green lights, the time bar, and the fish reward. For the same reason, this app will also be useful for all students, no matter which language they speak. Internet Safety – There are no social networking or other external links, there are no in-app purchases, and there are no ads. In short, this is a safe app for your children to use. My wish list for this app is very short. Firstly, although this app is great to play with no sound, sometimes some verbal or visual prompts for children might be helpful if they are unsure. This is only a minor wish, as the same kind of support is easily supplied by an adult or sibling, and is usually better than an automatic, recorded response. The only other thing on my wish list is for more of the same activity, perhaps with different themes such as jungle, farm, household, school, fruit shop etc. There is a lot to love about this app, but what excites me most is that this is something new that fills a gap and meets educational needs. Professor Kim – What’s Missing Here? is aimed at children aged 4 – 8, and it will also have relevance in the Special Education world, particularly for children with Autism Spectrum Disorder. I’m speaking as an ex-special ed teacher and as a mother, but I’d love to hear what occupational and speech therapists have to say about it. The bottom line is that it is different, useful, and lots of fun to play. I hope the developer bring out more apps with this kind of activity, maybe with different themes. Disclaimer: My thanks to Kristin Heitmann from Apppmedia for giving me this app for review purposes. I am happy to receive apps for review purposes, however these gifts do not influence my opinion of the app. This review is my own opinion about the app. *** Can you spot the missing sea creature, before the other player? This classification experience presents this type of simple early logic challenge, starting with smaller, easier sets, and progressing to harder challenges, for two players. A great game for one or two players! Who can spot the missing animal or object first? Is it the octopus, the diving elephant or the clam? 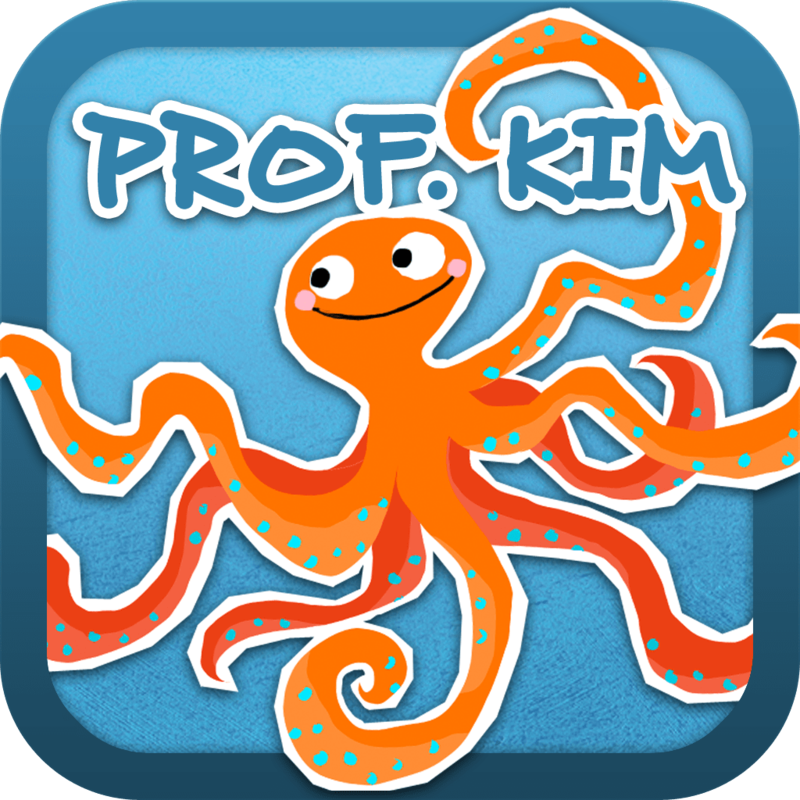 Help Professor Kim in his submarine to find whats missing in the deep blue sea! This game is great fun for two kids to play together or for parents and kids! You might aswell play alone and race against the time. Be quick to spot the missing creature! Best for kids from 4 to 8 and their parents! This game is a Kim´s Game and helps to develop memory and observation skills! – You can see one animal or object more on your screen than in the water. – Try to tap as fast as you can on the missing animal or object on your screen. – There are two counters. The upper counter shows the highscore. – Be quick and tap faster than your partner onto the missing animal or object on your screen. *appp media is a member of – Moms with Apps -, a collaborative group of family-friendly developers seeking to promote quality apps for kids and families.